Aztec Electrical Supply based in Concord, ON with locations in Cambridge, Mississauga, and Windsor. 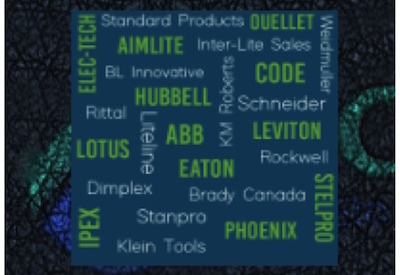 Aztec Electrical Supply is one of the fastest growing electrical and automation distributors in Canada. They specialize in supplying quality electrical and automation products to electrical contractors, manufacturing plants, OEMs, and custom panel builders. Company delegate to IMARK Canada: George MacKinnon. Del’s Distributor Ltd. , based in Winnipeg, MB. Founded in 1950, Del’s began selling light bulbs and electrical wiring under the General Electric name. Three generations later, the company evolved into a full-line electrical wholesaler serving residential and commercial customers in Manitoba. Company delegate to IMARK Canada: Bruce Del Biglio. Hudco Electrical Supply operates locations in Toronto, Barrie, and Mississauga, ON. Hudco Electrical Supply is a privately held wholesale full-line distributor of electrical products to industrial, commercial and residential markets. Company delegate to IMARK Canada: John Sardellitti. IMARK Canada is a member-owned, member-governed marketing group for independent electrical and lighting distributors.